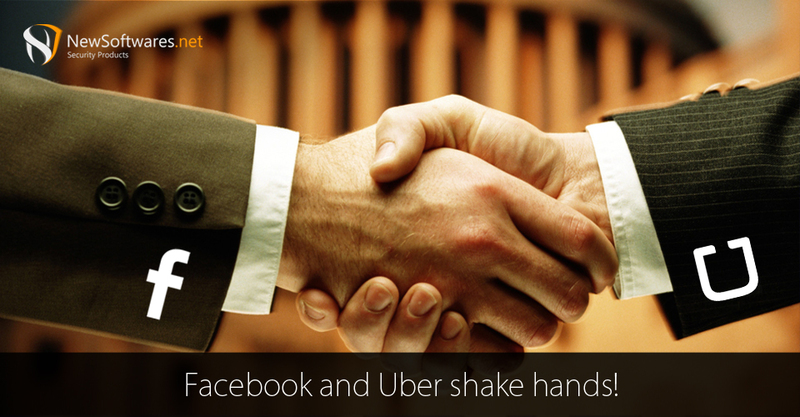 Home / Social Media / Facebook and Uber shake hands! Facebook and Uber have recently announced that they’ve shaken hands over a new deal which marks Facebook’s entry in the transport business. If successful, the partnership between the firms would allow Uber access to Facebook Messenger’s 700 million monthly users. Facebook had announced earlier this year that their ambition is to enter several different markets in the services industry ranging from retail to concierge services for its Messenger. Venturing into the transport services business is part of this plan and is an attempt to rival the Chinese messaging giant WeChat. “Facebook is looking at this as a way to make Messenger more attractive,” Thilo Koslowski, vice president and automotive practice leader of Gartner said. He said the service provides a ‘huge market place’ for Uber. Uber is the biggest ride-hailing company in the world in terms of funding, with about $12 billion raised so far. It has operations in about 60 countries. However, Uber is a subject of several ongoing protests and legal action from taxi drivers, taxi companies, and governments around the world who are unsatisfied with Uber’s mode of operation. This fresh move would allow Uber to take a fresh breath of relief. The companies announced their new venture via separate blogs. To use this feature, users would not need to download the Uber apps separately. The service was initially released in 10 cities on Wednesday. It will rolled out across the US before Christmas, with the goal of expanding internationally next year. “With the ability to request, view, and pay for an Uber ride in Messenger, taking your next ride is as simple as sending a message,” Uber wrote on its blog. Uber and Facebook announced that they would offer users their first ride for free for a trip worth up to $20. The offer would be in place for a limited time. However, the companies did not disclose whether there was a revenue-sharing agreement between the two.